First things first, we think strong legs are awesome and know that riders of all genders sport them with pride. Nevertheless, the fear of “hulk-like” gams is something worth addressing because it comes up a lot when new riders are considering the impact that a different activity could have on their body. “Will cycling make my legs big?” is one of the most common searches on Google, and with all the misinformation out there, along with unfortunately common body image issues, we worry that this myth might be keeping some women off bikes. And a myth is what it is. 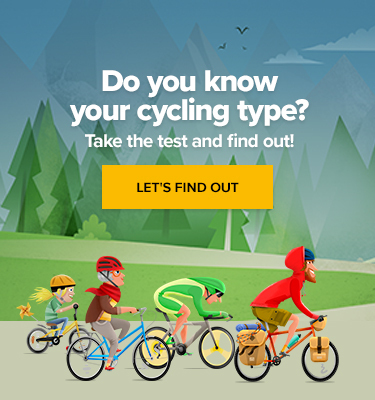 The short answer for whether or not cycling is going to make your legs huge is – no. Of course, cycling improves your leg muscles, but as an aerobic exercise, it works your endurance muscle fibers, making them more resistant to fatigue while training, but not causing them to bulk up. If you’re looking to add the mass associated with an increase in power, you need to train with additional weight on a regular basis. What about those riders with the super impressive thigh circumference? They’re spending a lot of time in the gym in addition to hours spent on the bike. It also matters a lot how much you’re eating. Trust us, with the amount of high-quality protein you need to consume in order to build powerful muscle, it is not something that is easy to do unintentionally. Unless you also introduce a significant increase in your overall food intake, in particular, your protein, you are unlikely to see any major difference when it comes to the mass of your muscles. For women, it is also important to understand that you’re going to have to work even harder than men to pack on the muscle. Generally, women have around 15 % less testosterone in their bodies and around 10 % more body fat. Testosterone helps a lot to build those hefty quads, meaning that the outcome will be different when men and woman engage in the same level of strength training. The muscle that is gained will help burn additional calories even when sedentary and is effectively leaner than fat. If you lost 5lbs of fat and gained 5lbs of muscle, you’d weigh the same and look trimmer, another indication that the best way to track change is to listen to your body. 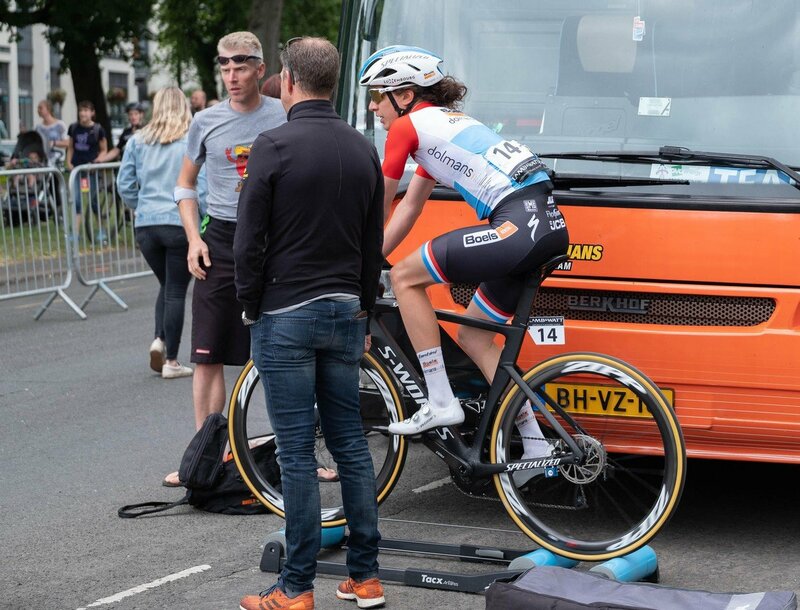 All that being said, women with muscles look amazing and we haven’t heard from anyone, man or a woman, who regrets the transformation that taking up cycling has had on their body. Even if the physical change isn’t significant, cycling will definitely give you more energy, increase your blood flow and improve overall health. Worries of bulky thighs should not be keeping anyone off a bike. Throw in the destressing benefits from the mood-boosting hormones that your body produces while riding, and we are willing to bet that skinny legs are going to be the last thing on your mind post-ride. 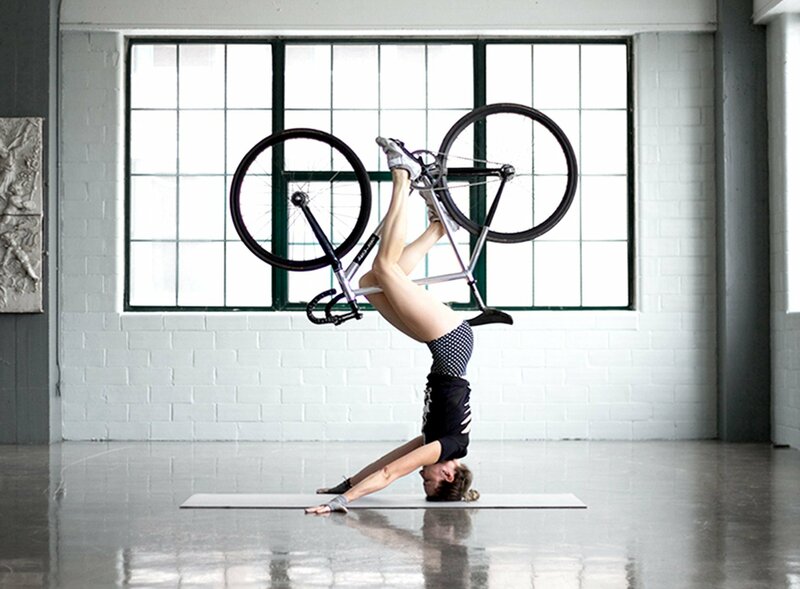 If you do end up riding enough to change the shape of your legs – you’ve obviously found something you’re passionate about and can delight in watching your body transform into an even more powerful tool to help you do something you love even better. And if you are looking to build stronger muscles to ride even faster, check out our guide to alternative proteins here. Dumoulin Feeling Fresh for the Tour. Does He Have a Chance of Winning?